“Brain magnetic resonance in experimental acute-on-chronic liver failure” by L. Chavarria, M. Oria, J. Romero-Giménez, J. Alonso, S. Lope-Piedrafita, and J. Cordoba. Liver failure causes brain edema that can lead to intracranial hypertension and death. It is currently uncertain whether this water accumulation is predominantly intracellular or extracellular, something important to determine in order to apply the most adequate therapeutic measures. 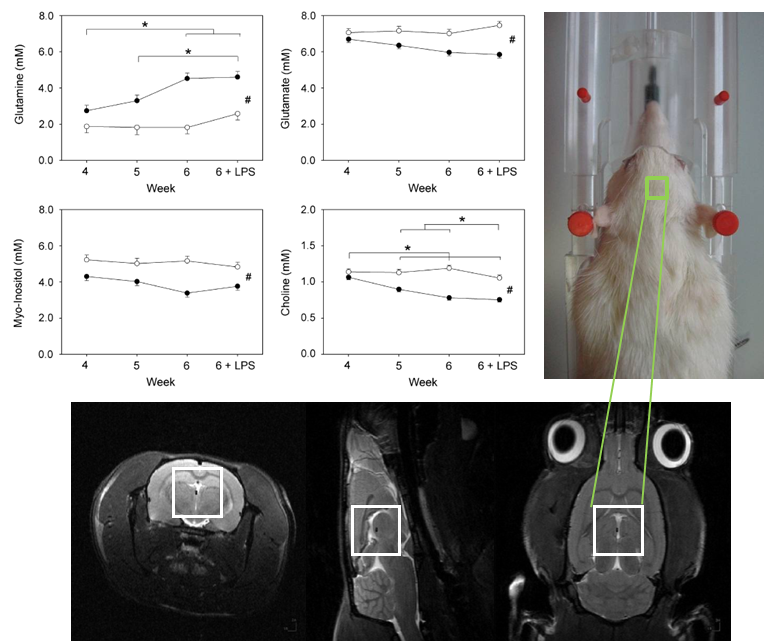 The aim of this study was to investigate the mechanisms involved in the neurological manifestations occurring in an experimental acute-on-chronic liver failure rat model that combines sustained liver injury with a factor inducing an inflammatory response. Diffusion MRI was assessed as an index of water distribution in the intracellular/extracellular space. T2 maps were acquired to detect relaxation changes in the brain, associated with edema formation. Localized magnetic resonance spectroscopy was used to measure metabolites related to osmotic compensation. And gravimetry was also performed to quantify brain water content. 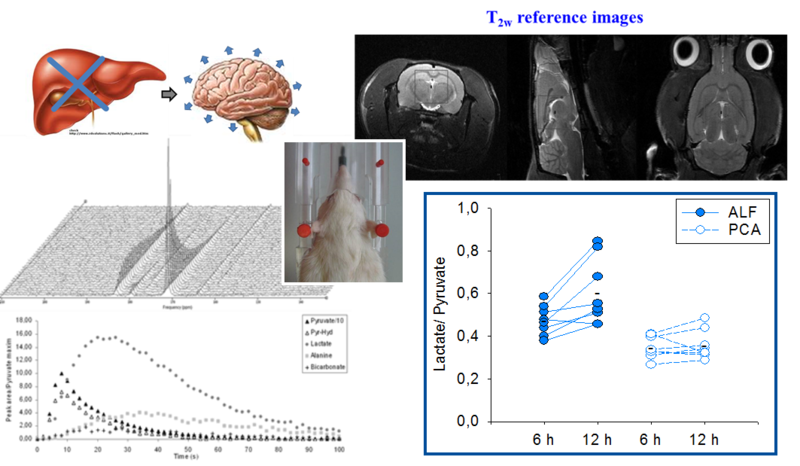 Results: an increase in brain glutamine and a decrease in glutamate, myo-inositol, and choline in relation to progression of liver disease were observed together with a progressive increase in the amount of cortical brain water. 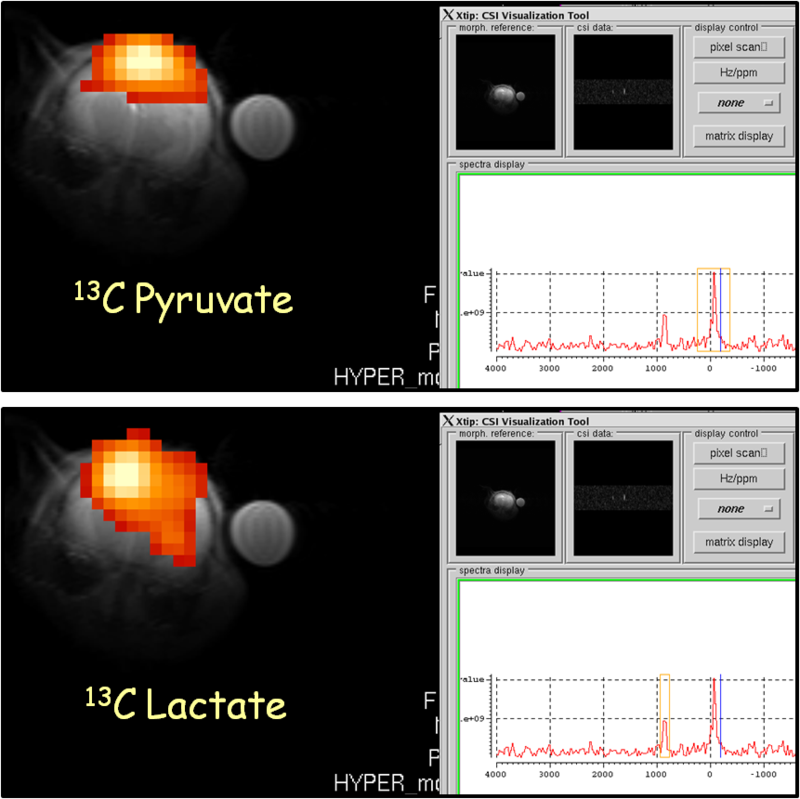 These changes did not modify either the apparent diffusion coefficient or the T2 values supporting a mixed origin of brain edema (vasogenic and cytotoxic). © 2013, Silvia. All rights reserved by the author(s) and Universitat Autonoma de Barcelona except for texts and images already copyrighted by third parties (e.g. journal publishers) and used here under the fair use provision.